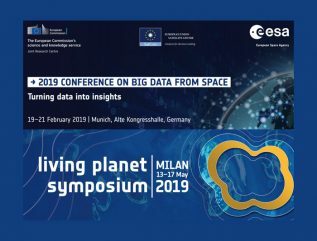 ESA’s Living Planet Symposium focuses on how Earth Observation contributes to science and society, and how disruptive technologies and actors are changing the traditional Earth Observation landscape, which is also creating new opportunities for public and private sector interactions. The event is held every three years. In 2019, it will take place on 13–17 May 2019 in Milan, Italy. The Symposium is organised with the support of the Italian Space Agency.